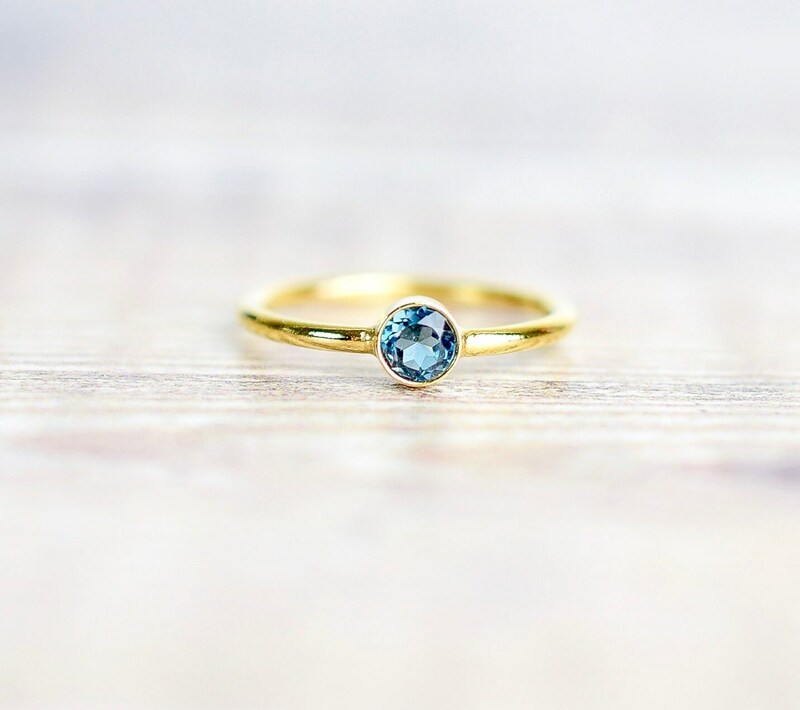 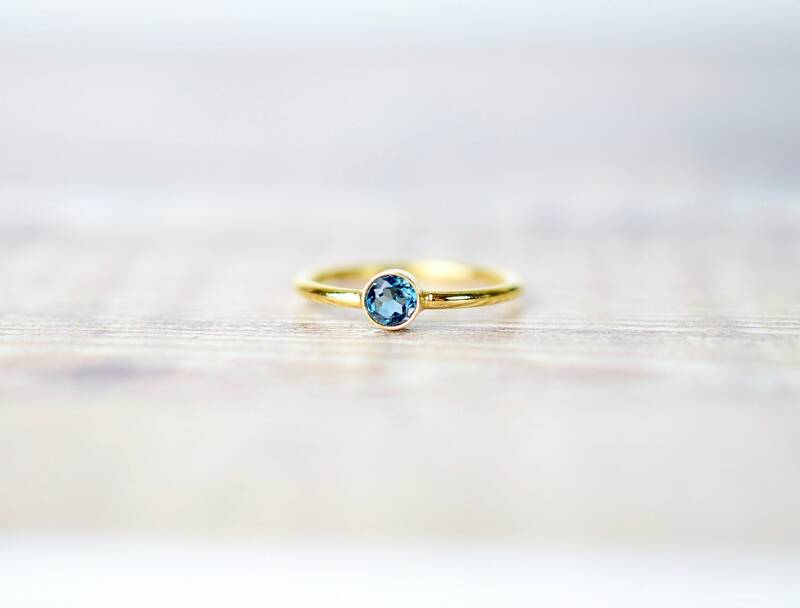 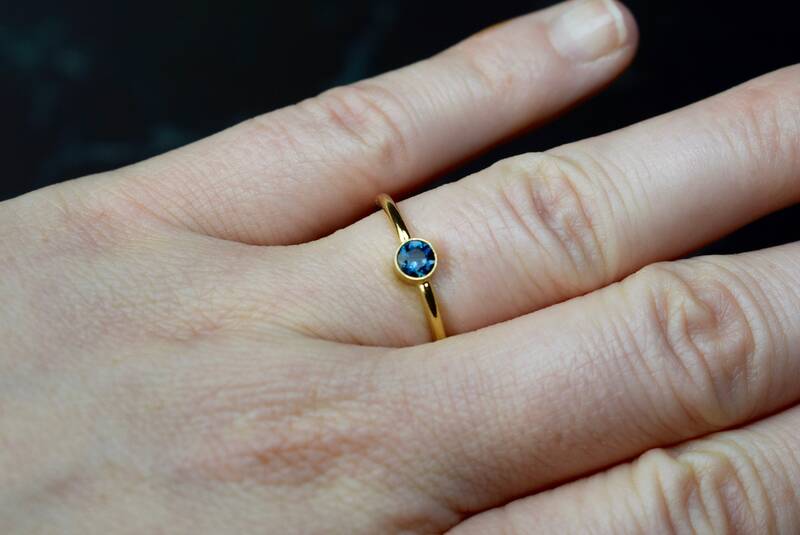 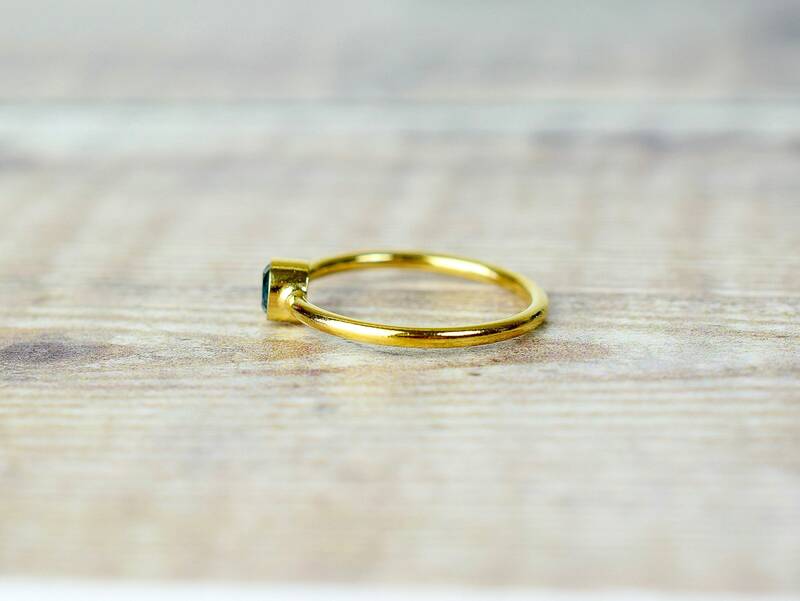 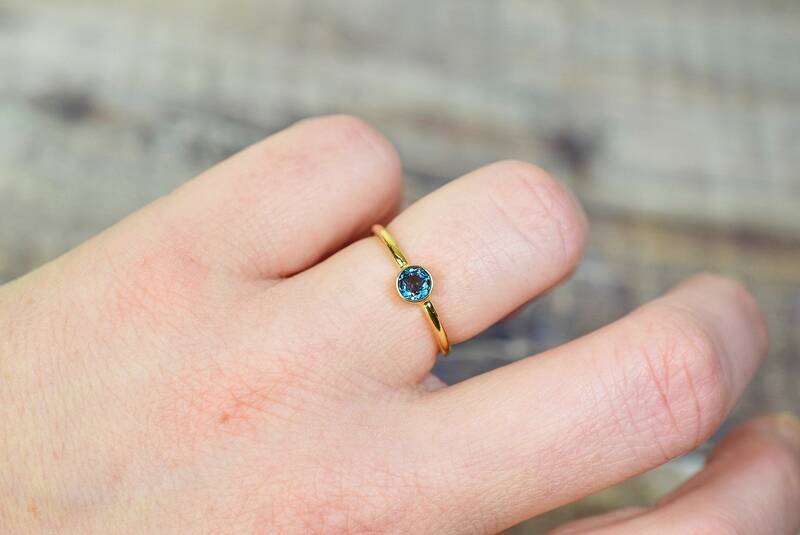 This beautiful gemstone ring is made from 14k gold fill and is set with a dazzling London Blue Topaz that measures 4mm. 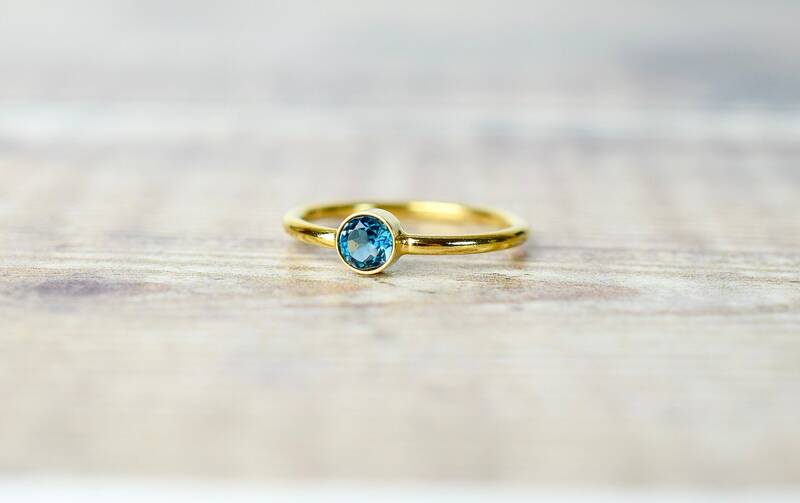 London Blue is the richest and darkest shade of blue Topaz and compliments the gold ring wonderfully. 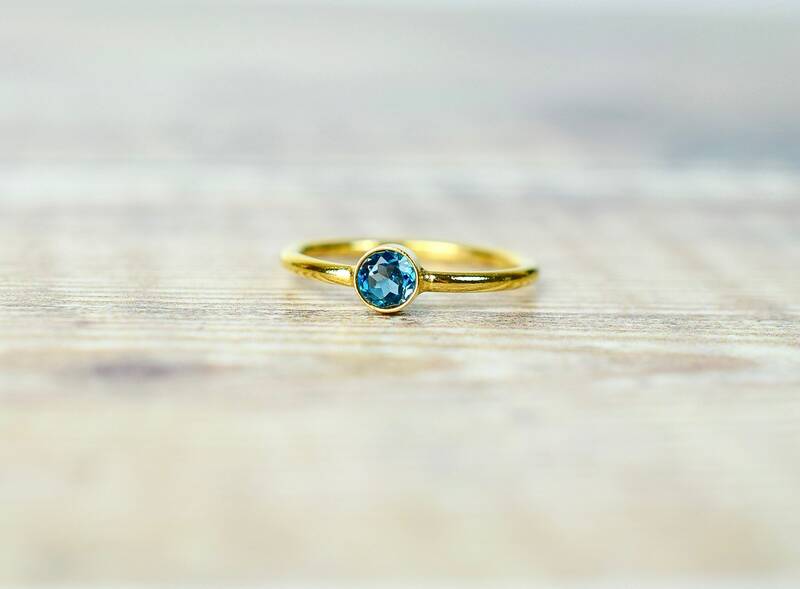 Swiss Blue Topaz and Sky Blue Topaz rings also available. 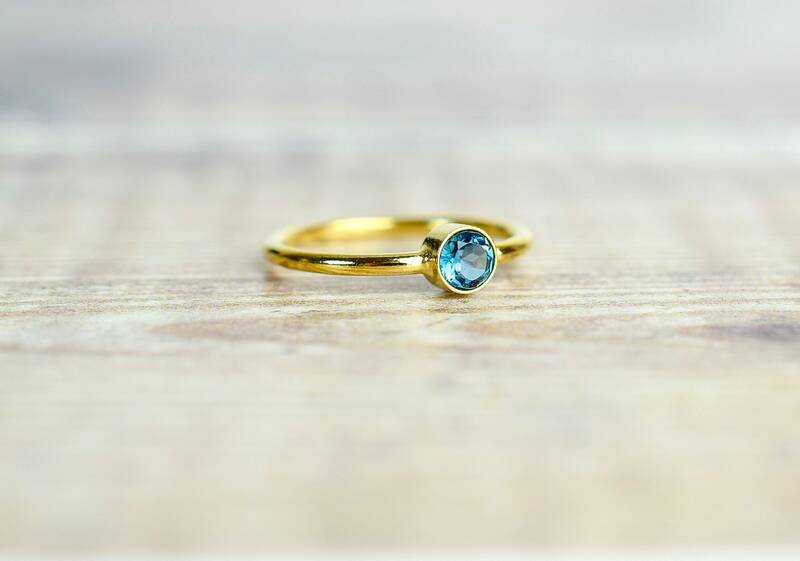 * The Topaz gemstones are AAA quality.